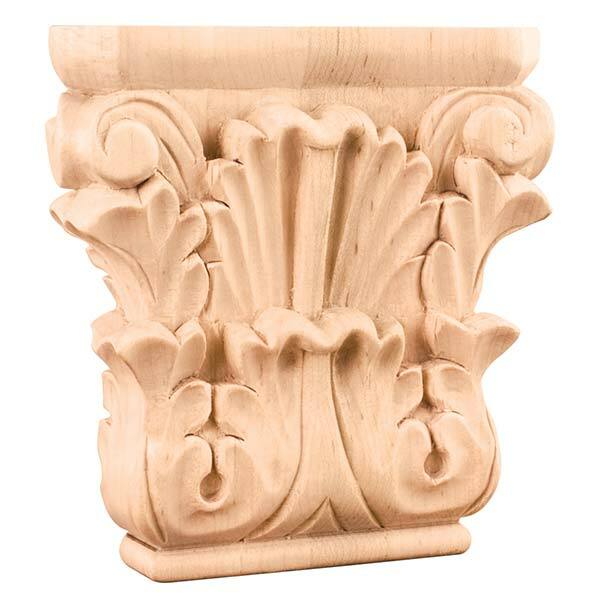 Combine capitals with column or fluted mouldings to create a Romanesque look. Use them at the bottom of a furniture-style vanity, or as a curtain valance over a window or doorway, or on a mantel or range hood. Cherokee Wood Products offers a wide range of designs and wood species to choose from. We regularly stock Posts in Alder, Cherry, Maple, Oak & Rubberwood. 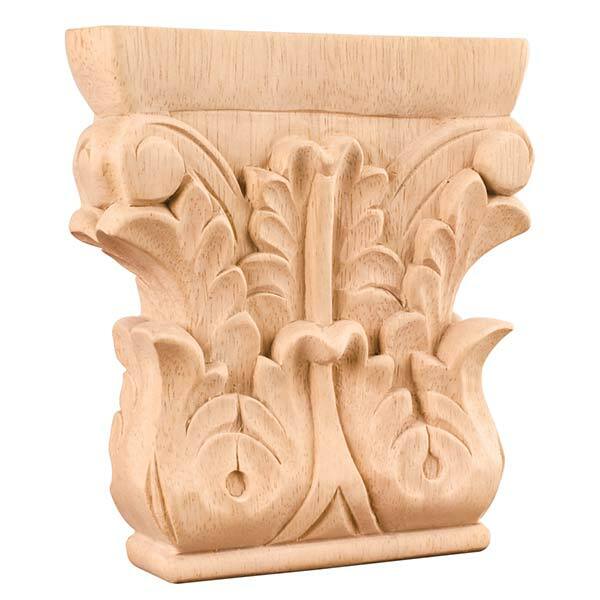 The Capitals are shaped on a cnc machined or lathe for exact pattern duplication and hand sanded to a stain ready finish. All the wood carvings are offered is size families allowing the same design to be carried throughout the home in different applications.